Newsflash: Mill Creek Wind Farm approved, almost all intact – just 2 turbines short of the full picnic. We blogged about it before, back in June last year when it was announced and publicly notified – and we thought that the residents of Ohariu Valley might put up a bigger stink than the residents of nearby Makara did when they were confronted with Project West Wind. There’s certainly a hefty list of Conditions, and a very thorough report of all the issues discussed (200-odd pages all up),�but it seems to have gone through, as it should, with due consideration of the various concerns, and a sensible final decision. The 29 turbines concerned will give a power equivalent at full load of 35,000 homes, which together with the nearby 62 turbines at Project West Wind windfarm (in Makara), will have the potential to power around 100,000 homes – ie a good portion of Wellington. 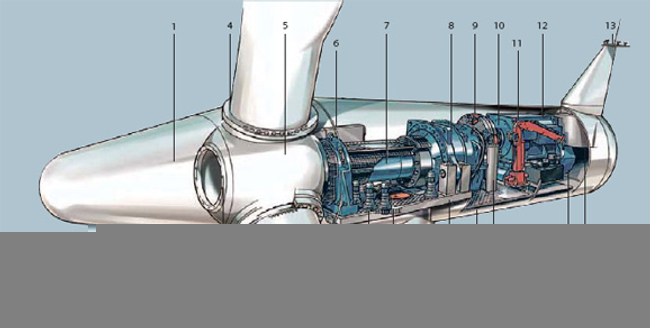 Of course, at the actual wing tip on any of these turbines, the wings fair race around, and in some countries, kill passing birds. If they’re those scabby pigeons in Te Aro Park, then I’m more than happy. Of course, here we have our wonderful evolutionary dead-end of avian wild-life who have developed the ability to be too bloody lazy to fly, and so are in precisely no danger at all of ever getting killed by a blade from one of these. Still, its a condition of the Consent though (Condition 57: Avifauna monitoring). And the protection of Fish too (Schedule 6: Fish Passage, and Schedule 8: Monitoring of Flocculated sediment retention ponds), for which we thoroughly approve. Woo hoo! Seems like a fairly symbiotic relationship then: useless scrubby land nearby, too windy for human habitation on the hill-tops, a need for more wildlife reserves for our endangered flightless birds – it must be the perfect chance for Meridian to score some badly needed good PR brownie points by offering to plant a native forest reserve around these super-sized turbines. Before I go, a link here to the Creative Freedom people, who are getting very up in arms over a proposed bill in Parliament over Copyright Laws. And rightly so too. Silly law, badly written. Don’t pass it Mr Key (a frequent reader of this blog, I’m sure). There’s enough silliness in the world, and more than enough silly law. We don’t need any more. Nice article – am defo a wind farm supporter. For those that care and are facebook addicts, there’s a few “we love windfarm” type groups. Accept for when it blows too hard. “Accept for when it blows too hard. It shows that max power is reached at about 15 m/s (equiv to 54 kph), and continues to about 25 m/s – and then it disappears. 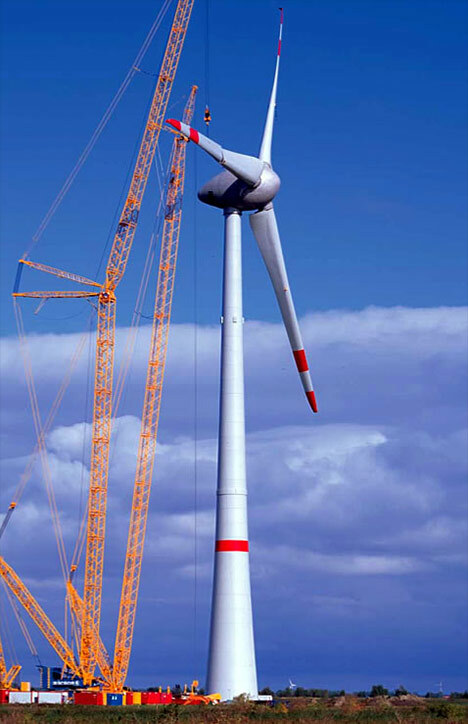 Presumably, at 25m/s (90 kph) the wind turbine cuts out. To be honest, although it feels like it sometimes, we don’t get that many 90 kph days. The turbines are shut down during high winds, of which Wellington gets, on average, 58 days annually of wind gusts over 93 km/h (although that is at Kelburn – i am unsure of data for the Valley (which is presumably less). 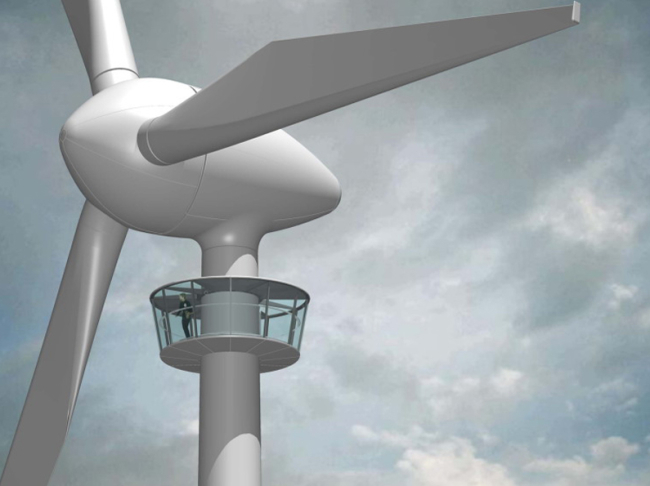 Nevertheless, the figures touted by Meridian indicate that the turbines will have consistent and appropriate wind speeds 90% of the time – one would hope that they are not inflating figures, considering their livelihood depends upon generating efficiencies – but you never know what goes on to get RMA approval! Maybe they don’t want to use Windflow turbines because they’re crap – they’re only half a megawatt. To get the same power output for Mill Creek they would need 133 turbines instead of 29. Thanks for posting the link about the creative freedom group. I was just reading about their protest at parliament today and was sorry I didn’t know about it in advance as I would have liked to have gone. This law is terrible and the fact that so little has been mentioned about it is unfortunate. Oh, speaking of windfarms, I highly recommend the play “Turbine“, currently on at Downstage. It’s the tale of a family who is fighting a windfarm and the power company’s rep who is trying to win them over. It’s clever and funny and doesn’t really take sides either way, but rather explores the issue. And it’s funny. ddasdasd – yes, less power output because they are a lot smaller. Less than half the size? Therefore, as you say, more of them. But also, therefore, less visible from neighbouring farms…. I have a question. Seeing as the locals are all bitching about the terrible upgrade of their winding access road (some may think of that as a bonus, but apparently not the locals – its currently hardly wide enough for them to herd a flock of goats along) – and that West Wind is just next door, with its own port built, and a system all set up to bring the turbines in across from Picton, whereas here they seem to be planning to widen the road from Wellington and therefore presumably truck them all the way from the port at Wellington or the Hutt…..
isn’t there a logical step just to bring them in to the Meridian West Wind port as at present, and just build a short link road across to Ohariu valley? Are they that scared of Jenny Jorgensen and the Makara Guardians that they dare not take that fairly obvious and presumably highly cost-effective step? Just a quick note to Rondo. As far as I know (and I’ll double-check next week) I think most of the bits and pieces for the Mill Creek project will come over the hill from Spicer Valley in Porirua. There’s only a short stretch of new road needed to make this a goer. >Silly law, badly written. Don�t pass it Mr Key (a frequent reader of this blog, I�m sure). Too late. The law was passed last year when Judith Tizard was in charge of it. The campaign is asking the current government to change the law, or to pass an order in council to stop it from being implemented on schedule. Stage one of heaps more turbines to come. RIP O-VALLEY. Welcome to SOUTH PORIRUA :( – unless Meridian return the place back to a culd-e-sac. Oh an by-the-way these are powering Auckland homes. RT, sorry to hear you’re upset – I never expected there to be total support from the residents of Ohariu Valley, but on the other hand, I am deeply supportive of the needs of the rest of NZ to have a clean, green energy source, and so sometimes things don’t always work out the way you want them. What I am hopeful of, is that the Resource Consent process has acted fairly and reasonably, and has deleted 2 turbines that would have caused problems (noise, sight, not sure what the grounds were), and that the turbines as they are sited does not cause problems to any of the residents. I wouldn’t wish that on anyone. I’ve been through Ashhurst near the Manawatu wind farm, and i though the turbines were fantastic. And re the powering AK homes? Of course – its the National Grid – the power goes everywhere. Even Auckland – unless they have yet another power cut. Thanks for posting the link about the creative freedom group. I was just reading about their protest at parliament today and was sorry I didn't know about it in advance as I would have liked to have gone. This law is terrible and the fact that so little has been mentioned about it is unfortunate.